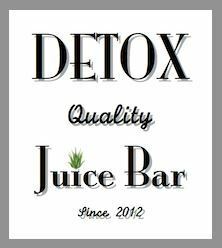 A juice fast or juice detox involves drinking fruits and vegetables in an attempt to enhance the removal of toxins from your body and boost overall health. Emerging studies are showing that juice cleansing is a powerful and effective way to keep the body’s systems in check. A commercial juicer is typically used to extract the juice from these solid foods and some juice fasts include spirulina, clay and husk for a more complete detox. Advocates of juice fasting indicate that the practice provides several benefits including the elimination of waste and toxins from the body and an influx of nutrients, vitamins, minerals, amino acids and enzymes that might be missing from your daily diet. Additional benefits include boosting the immune system and increased energy levels, clearing up your skin, increase metabolism, weight loss, digestive health and improved organ function. UCLA recently published a body of work on the health benefits of a three-day juice cleanse. Their research illustrated that juice cleanses increase beneficial gut bacteria, promote weight loss and improve general well-being. Intermittent fasting has been all the buzz in the health world this year. According to nutritionists, fruits are aggressive cleansers and aide organs and systems involved in detoxification such as the liver to become more efficient. Vegetables help to rebuild your body and are lower in calories than fruits. Therefore, they do not increase blood glucose and insulin levels to the same extent. Spirulina is a plant based form of protein that helps in the process. Clay and husk are often used to help with the removal of waste and toxins from the body. Drinking water throughout the day, even while on your juice fast helps keep everything moving. Hydration also makes your skin glow. Regular hydration, helps remove toxins while juicing helps bring your cells healing nutrients that can transform how you feel and look. If you have a medical condition, consult with your doctor before signing up for a juice fast. For example, a juice fast may be problematic for people with diabetes.